any of our missions here in Guaimaca. Professional people, like Joel Espinoza, a young agronomist engineer, a graduate from Zamorano University, and Manuel Martínez, his assistant, who is also a Lay Associate of the Dominican Sisters of the Presentation. We also have many young workers in different capacities, many of whom have been able to complete their studies while working with us. The Marie Poussepin students who go every week during the school year to learn and to contribute with their work. 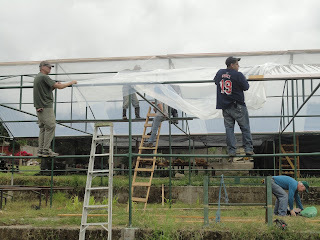 There are also many volunteers who come during the year with different groups to Guaimaca and who spend their days at the farm helping in different capacities. Every year we have some time of celebration with the regular workers around the Christmas holidays, ususally at the beginning of the year, close to the feast of the Epiphany. 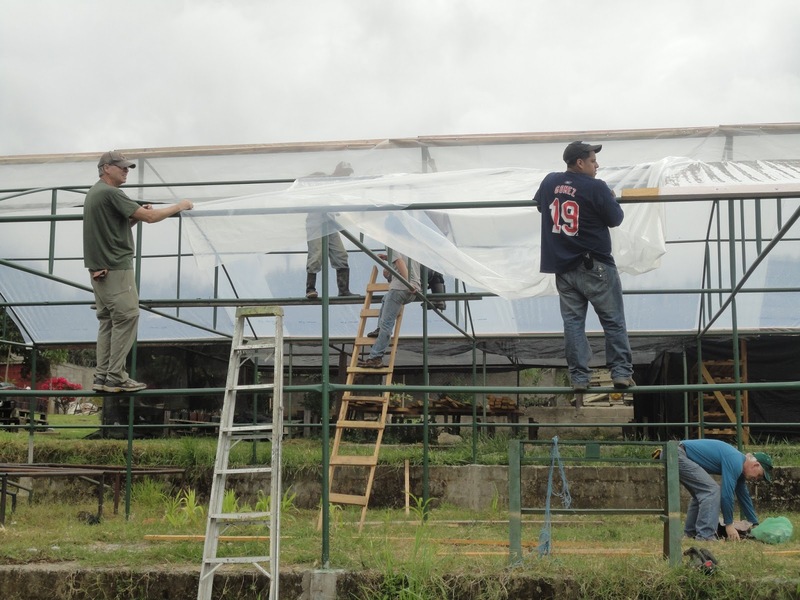 This year, the four sisters went to the farm on January 3rd to thank them for their work and dedication. We brought some "nacatamales" the typical food to celebrate during Christmas time, coffee prepared with coffee beans cultivated and harvested at the farm. and all of them singing. 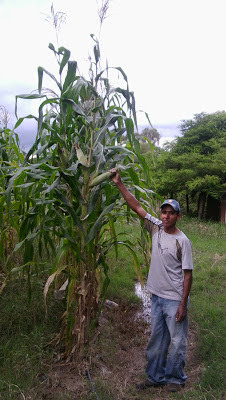 for a good end of 2012 and beginning of 2013 with good and abundant crops. May this be a sign of a fruitful 2013!